Florin Chilian, a popular singer and renowned journalist recently became a patron of CID Romania having been actively involved in fundraising events over a number of years. Florin’s commitment and support flows from his own childhood, which he describes as “dark and traumatizing”. His early childhood, in an apartment shared with his mother and sister in one of Bucharest’s meaner neighbourhoods brings only bad memories of “hunger and the terrible desire to be adopted”. When Florin was three his mum simply left, him in an orphanage but he ran home to the only people in his family who loved him, his grandparents. After a while, he left to live on the streets, his time on the streets taught him that he must learn to survive that money meant food so the gang started to steal flowers and sell them so they could eat. For a while, he even slept in the sewers desperately seeking the warmth of the underground heating pipes near sports clubs. With his friends, he started singing in subways to make a little money mostly around Christmas. Florin was in the street seizing freedom when the revolution of 1989 swept Ceausescu away he saw other young men die around him so with his new-found freedom, he took the “golden” road to France seeking life experience and opportunity. He tried work in casinos, met and fell in love but never seemed to settle. He was called back to music immersing himself and sacrificing for his muse. In November 2001 he cut his first album “Iubi-Interface to reality” which was well received but it was the follow up “Ten Commandments” that confirmed his popularity even with the most sceptical critics. His gold and platinum album “The Autistic" followed in 2009 to universal acclaim. 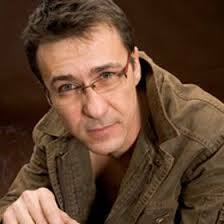 As a performing artist Florin has refused to compromise his integrity to popularity or publicity, and he determines himself what to sing, where and for how much. He is an inspiration for the young with little or no support, who have talent, ambition, commitment, potential and a passion to succeed, but he is also a man who has not forgotten his past and is ever willing to help other make the grade. Maria Popa, one of CID’s patrons in Romania is a remarkable woman. 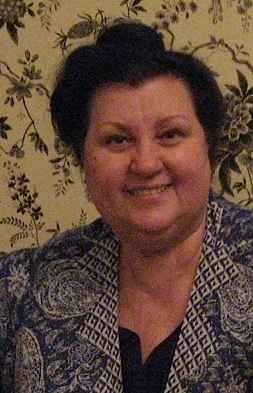 This doyenne of Romanian cooking has served British Ambassadors as their cook, since before the Revolution and in that role has delighted everyone hosted at the British Residence in Bucharest. Her talents are much appreciated and sought after as the photographs, cards and letters of thanks from Patriarchs, Presidents and Royals that adorn the wall in her new Chez Marie Restaurant attest. Maria has always been generous to the children at St Margaret’s Hospice, sending little personal gifts, arranging parties, providing entertainers to bring them joy. Now a successful restaurateur in her own right with Chez Marie, a stylish restaurant, renowned for the warmth of its welcome and the quality of its food. Dr Robin Dunn qualified and trained Cambridge and St Bart’s Hospital, London followed by a challenging and interesting appointment as Medical Officer in the Solomon Islands where as well as managing the Malaria eradication programme he delivered comprehensive medical care throughout the dependency. This experience inspired his move into general practice. 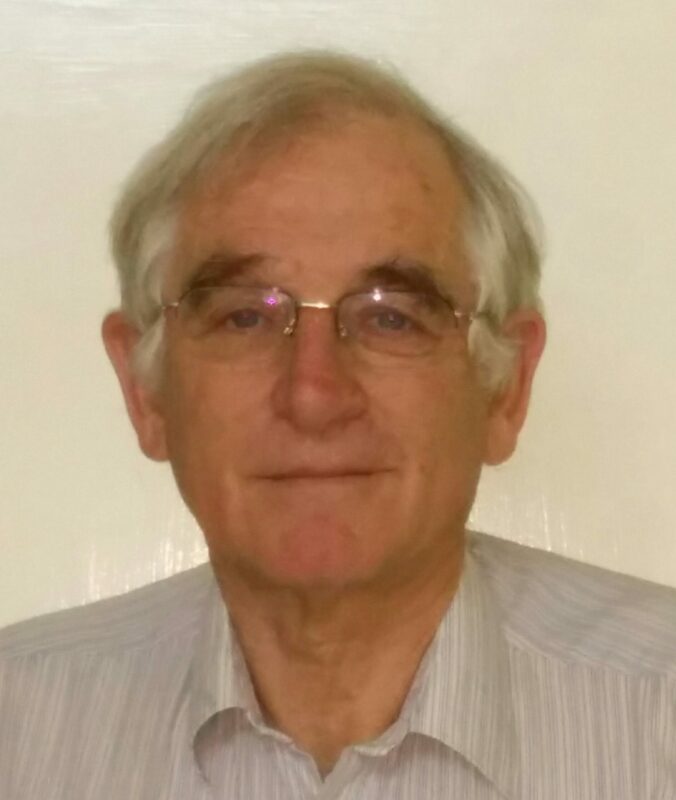 GP training at Oxford lead to practical training in Didcot and a career long partnership in a practice in Hungerford from which he recently retired. An inspirational meeting in 1993 with the Children in Distress’s Founding Director led to an initial visit to St Laurence Hospice in Cernavoda and a life changing experience of both Robin and his wife Anna. Robin and Anna have been an integral part of the growth and development of Children in Distress and its mission of care since then. As a chair of the charity’s Advisory Group, he helped introduce medical audit visits and continues to promote the highest standards of medical treatment and care, in all of CID’s projects and partnership programmes. Having worked at St Thomas’s, CID’s hospice in Slobozia over many years, he continued contact and support when it was transferred to the Fundatia Paraschiva Cuvioasa and today he chairs their UK support charity. Now ‘retired’, Robin is one of the longest serving Trustees of Children in Distress and each year fits in a series of advisory audit visits. He has worked as a volunteer doctor for ‘ACCROSS’, which using ambulances assists pilgrimages across Europe for the frail, sick and disabled. He is a local community councillor a fundraiser for the rebuilding of his own local parish church and active in ‘Hungerford Churches Together’. Over the years, he has inspired and organised the Hungerford Big Wheel Bike ride for Children in Distress and fundraises widely for children in Slobozia. June Hurn, one of the charity's active and long-term supporters and trustees, was born in the United States, however has spent most of her life and career in the UK. A teacher and lecturer in physical education, June also qualified as a remedial gymnast and spent twenty years working with children with special educational needs. 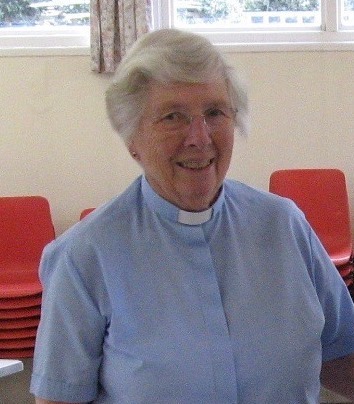 Now a priest in holy orders, June is part of the ministry team of St Nicholas's Parish, Chislehurst in Kent, she is a governor of both the local Marjory McClure a specialised school for physical development, and a primary school in a deprived area of Bromley. June was an equestrian of note and for thirty years has been active in the Riding for the Disabled Association. June is a loving mother (4) and doting grandmother (8) and enjoys a very active life together with her husband Bruce, a popular and talented artist who generously promotes and supports Children in Distress through the sale of his paintings. Anne-Marie is a presenter, panel member and moderator at topical conferences and events. She has also been a visiting lecturer for university undergraduate and post-graduate programmes on PR and marketing related topics. She is an experienced business executive who has worked in the industrial and not-for-profit sectors over many years, specialising in the strategic, commercial and operational levels of organisations. 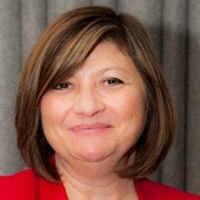 As Chief Executive of the British Chambers of Commerce and business groups in Europe, Anne-Marie spearheaded that organisation's through leadership projects, by representing the interests of European business to Brexit negotiators and to legislators across Europe, while also developing the practical solutions, new corporate relationships, services and business events enabling COBCOE to become, throughout Europe, recognised as an effective driving force for international business A Fellow of the Chartered Management Institute (FCMI), Anne-Marie was awarded the King Mihai I of Romania Medal for Loyalty for services in promoting business, social and cultural relations between Britain and Romania. Anne-Marie has recently accepted a new role in international business however is intent on continuing to contribute to the work of the Charity.